It’s strawberry season and you know what that means. Strawberry Donuts are about to hit our shelves! We’ve been busy selecting the finest ingredients in preparation for our spring signature donut flavor and cannot wait to unveil them in April. Strawberries are one of spring’s most popular fruit. So much so, smaller towns in our area host strawberry festivals and many local farms offer strawberry picking activities. With so many opportunities to eat this super awesome fruit, why not add it to your favorite breakfast treat? Donuts make busy school mornings a little easier. They can brighten the mood in any office. They can even take away the mid-week blues. And since our strawberry donuts are made with non-GMO ingredients, you can spread the donut joy to more of your friends and family. When do you make strawberry donuts? 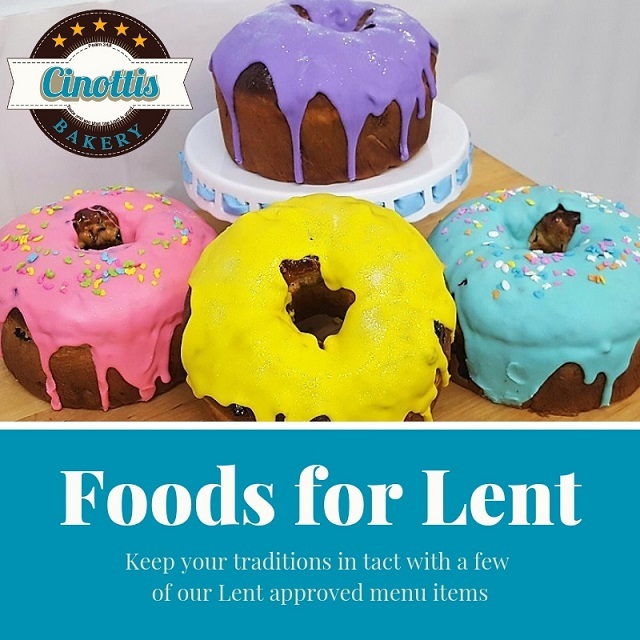 We feature four different signature flavor donuts throughout the year. Our summer flavor is Key Lime which runs from July through September. Fall brings the ever famous Pumpkin donuts running from October through Christmas Eve. January through March, we make our signature Coffee donuts. Strawberry donuts are our signature spring flavor. We create these delicious bites from April 1 through June 30. Like all of our donuts, our strawberry donuts are made from scratch every morning. If you come early enough, you may get your hands on some hot strawberry donuts. What better way to start your morning than with a hot, fresh donut and a friendly face? While our strawberry donuts may not have the pomp and circumstance that our pumpkin donuts receive, these little guys are just as flavorful. The first week of Strawberry Donut season, we highly recommend pre-ordering your dozens. This will ensure you have plenty to hand out to your friends, co-workers, and family. Take an extra dozen to snack on for yourself too! Same day orders may also be available if we haven’t sold out of these delicious donuts. Simply give us a call and we will handle the rest. 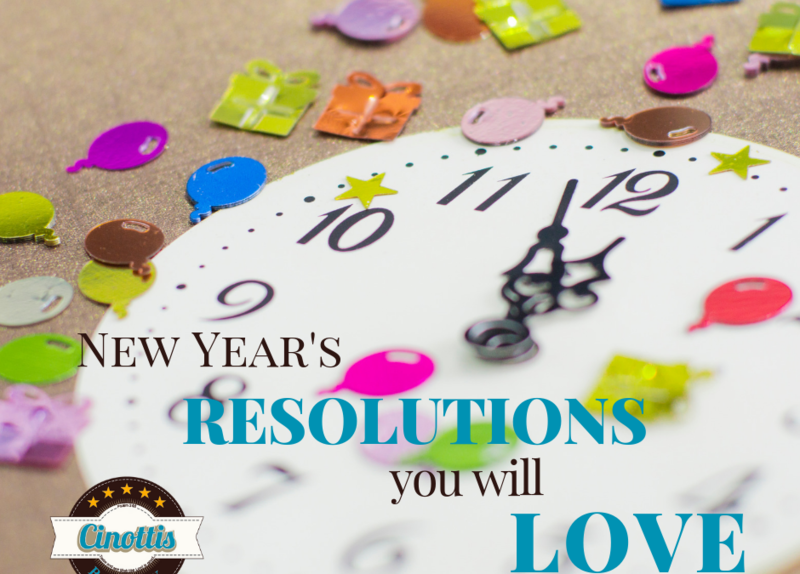 New Year’s Resolutions You’ll LOVE! If your New Year’s resolutions include eating better, spending more time with your family, or simply living each day to the fullest, you’re not alone. The new year is a great time to set goals for yourself and your family and we are here to help you stick with your goals. Yes, we are aware the word ‘BAKERY’ is in our name, but that doesn’t mean we can’t be healthy. We offer a host of healthy breakfast and lunch choices. In the morning, join us for a plate of freshly prepared grits and scrambled eggs. Or, if you have a sweet tooth, order a cup of oatmeal served with brown sugar and cinnamon. If your New Year’s resolutions include limiting your carb intake, you can order any of our breakfast sandwiches to be made without bread. Pair any of these with a cup of our signature coffee and you’ll be off to a great start. For lunch, we have a selection of salads that are filling and delicious. Our Salad Plate is a tasty twist on conventional salads. We pile three scoops of your favorite salads on top of shredded lettuce and tomatoes. Our chef salad includes a balanced blend of romaine lettuce and spring mix. The fresh vegetables combined with protein rich boiled eggs, ham, and turkey make this a filling and nutritious lunch choice. Family ties are important in so many ways which is why so many people include spending more time with family in their New Year’s resolutions. We support that idea BIG TIME. No matter who you call family, spending time together is healthy for everyone. We love seeing our extended ‘family’ of regulars who come in on a daily or weekly basis. They bring their children, friends, grand-children, neighbors, and sometimes strangers in to share a tasty treat or meal. Their laughter fills the room and spreads positivity across the bakery. Swing in the bakery after work and pick up a box of cookies to surprise the family, or grab a ‘just because’ cake for an after dinner treat. 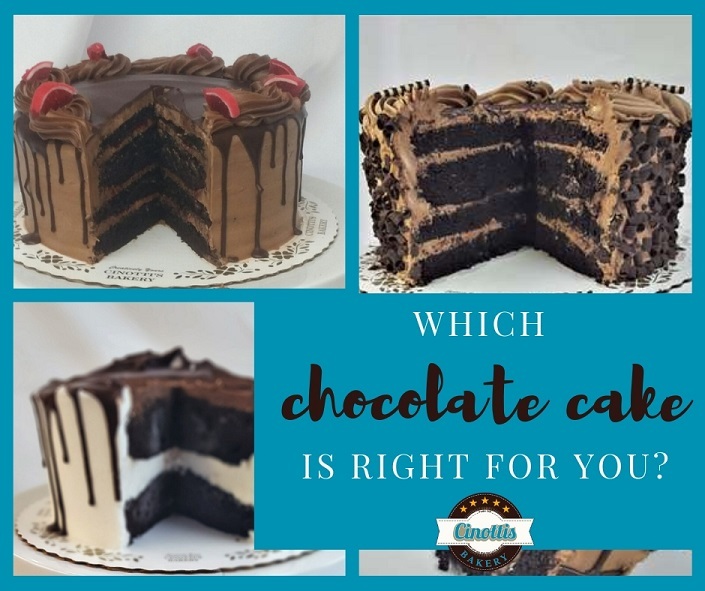 In any case, we are here to help your family time be a little sweeter. Eating healthy and spending time with others is important, but sometimes, having a bit of ‘me’ time is just as important. If that ‘me’ time comes with a sweet tooth, we can certainly help. Grab a decorated cookie…or two, to sate your craving. The buttery cookie base is covered in our homemade buttercream icing before being beautifully decorated by our skilled artisan. For a little less icing, try our iced cutouts. These buttery cookies are iced in a thinner, fondant-like vanilla icing. Each cookie is meticulously decorated by a skilled artist before making its way to you. Come in and fill up on these delicious works of art. Eating healthy, spending time with family, and living life to the fullest are admirable goals for anyone. Make this the year to do what makes you happy and enjoy every moment. We are here to add a little sweetness and love to your day. Yuletide Greetings and Happy Eatings! Each year, we have a beautiful yule log on display in our showcase. It’s a delicious combination of traditional sponge cake, homemade buttercream icing, creamy chocolate icing, and gumpaste poinsettias. The yuletide treat has been a staple December product for more than 60 years in our bakery and remains a Christmas tradition for many families. 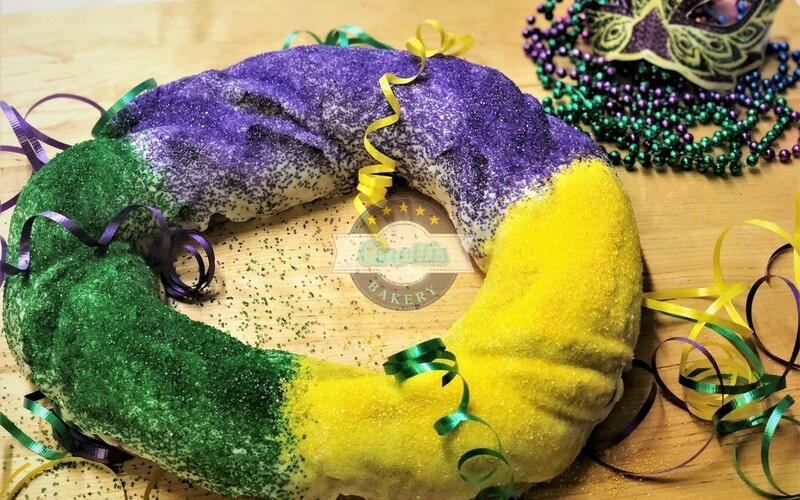 While we continue to produce the tasty tradition, we invite those who’ve never experienced the flavor, to come in to taste and see what this yuletide tradition is all about. The yule log was originally a large tree cut from a family’s yard before being pulled by a mule or horse through the street. Families would march the yule log around their house three times before bringing it in. Yuletide songs of blessings were sung as in hopes for good fortune in the new year. Only a fraction of the oversized log would fit into the fireplace, leaving the rest of it to hang in the common room of the house. Families decorated the remaining length of the log and blessed it with ceremonial spirits until the entire log fit into the fireplace. It was believed anything evil from the year could be left on the log and once burned, the bad luck accompanying it would disappear as well. Some cultures would burn their yule log for twelve hours but it’s the Scandinavian’s who are credited with burning the log for the twelve days. This is the span between Christmas Eve until the end of Winter Solstice known as “The 12 Days of Christmas.”. Hence the popularity of the “Twelve Days of Christmas.” No matter what tradition called for on the duration of the yule log burn, one common belief remained; if the log went out too soon, bad luck would ensue. The ashes were also used as part of the ritual. When planting day came, ashes from the yule log were sprinkled onto the fields in hopes of spreading good luck even further. As years passed, the length of yule logs dwindled. Families chose logs that fit the entire girth of their fireplace rather than have the log stick out into their homes. The decorations and ceremony, however, did not change. In many cultures today, the yule log is still very much celebrated today. Who celebrates with Yule Logs today? 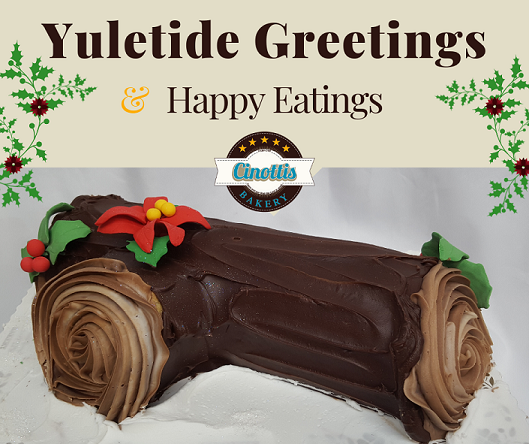 In America and some European cultures today, yule logs are offered in a much tastier form. In Provencal, France, the tradition of burning an oversized log transferred to a celebratory eating of a delicacy on Christmas Eve. Leave it to the French to reinvent the wheel with something tasty- right? The ‘buche de noel’, as commonly referred to, is a tightly rolled sponge cake iced in chocolate cake made to look like a log. With knobs, roots, and some sort of winter flower such as poinsettias, this sweet cake is designed to mimic the yule log tradition. With many versions of the classic cake around today-including those soaked in ‘ceremonial spirits’ like the old days, it’s clear this is a popular winter treat. The Christmas season is full of wonderful family traditions such as decorating gingerbread houses, singing carols, and spending evenings by the fireplace…that is, when Florida remembers that it’s winter! If your yuletide traditions include a stop at your favorite family bakery, we invite you to come in and share a memory, eat a cookie, and simply enjoy the season. As always, we thank you for being a part of our family’s dream and wish you all a very merry Christmas season.